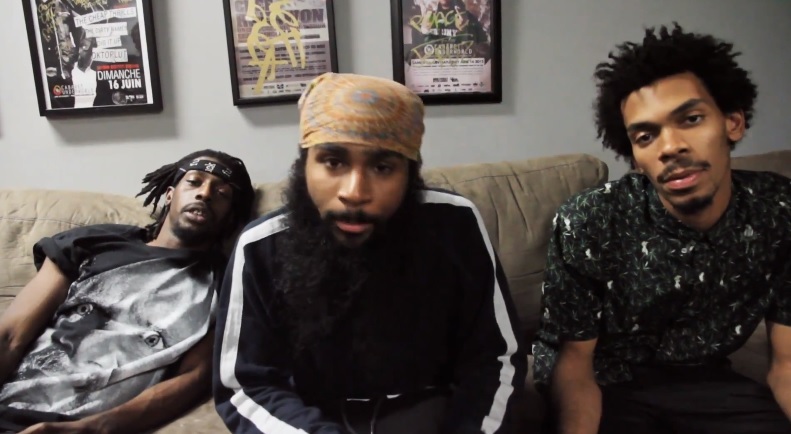 Rap trio, Flatbush Zombies, catches up with Montreality for a second interview and partake in an exclusive Q&A session. Check out Meech, Juice and Erick as they reminisce on their favorite toys as kids, reveal the worst thing they’ve put their parents through, explain what they hate about the music industry and so much more. The zombies also touch on their respect for Eminem and advise viewers how not to do drugs in different hypothetical scenarios. Provided by Zombie Vision, here is live footage of Meech, Erick and Juice performing at Paid Dues Festival 2013 held at San Manuel Amphitheater in San Bernardino a few weeks ago.